Jesus’ death; painful, unjust, undeserved- is what Lent has been all leading towards. We say that ‘Jesus died on a cross for the sins of the world’, but that hardly captures it. Karen brought this card back from Spain last year. 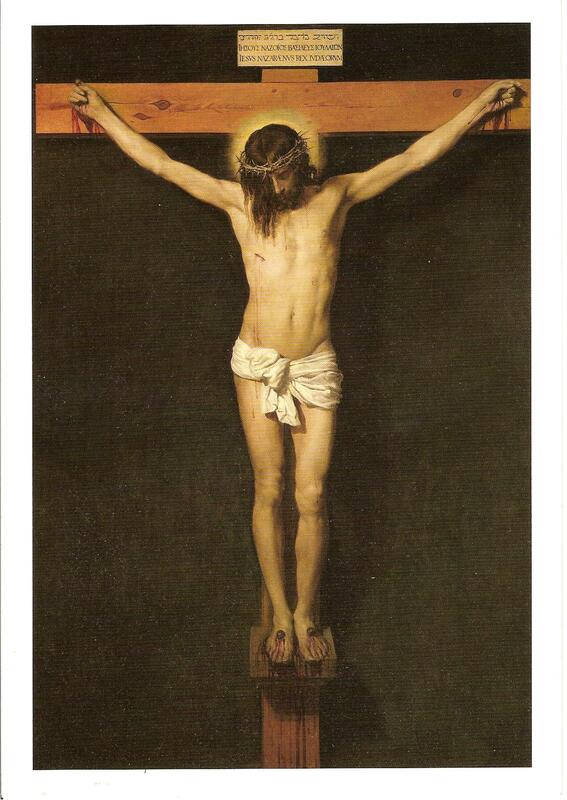 It is a reproduction of Cristo Crucifado by Diego Velazquez. I don`t really feel comfortable looking at it.